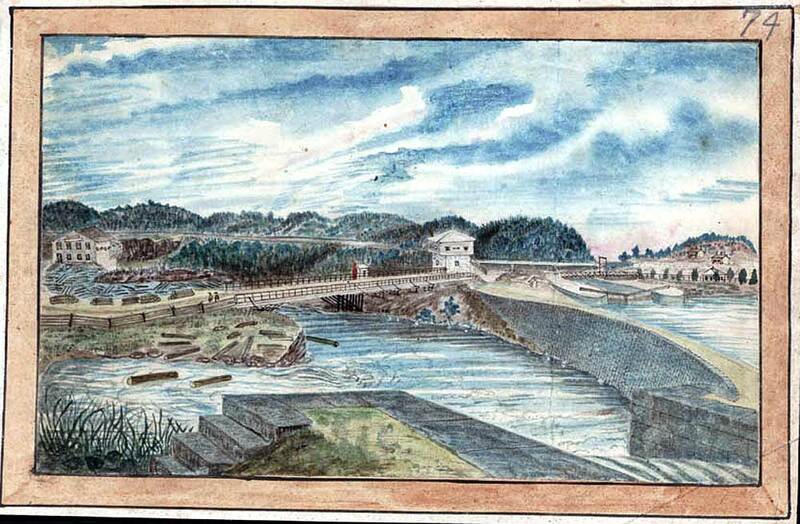 This painting shows the waste weir in the right foreground. From the weir, a cut stone dam leads to the bedrock on which the blockhouse is built. The upper lock sits to the right of the blockhouse. A long bridge crosses the original channel of the Cataraqui River, part of the Montreal-Kingston road, and a drawbridge takes the road over the upper lock.